UNI-PRO is a garment company which specialized in manufacturing Uniforms (Office, Security, Hotel, Hospital, School), T-shirt, Jacket, Hat, Backpack. - Besides, we also supplying Workwear and Protective Equipment. - Commit delivery on time, quality guarantee, warranty 180 days. With 10 years of experience in the field of Garment Uniform for domestic & export markets. ✂ Office uniform: T-shirts, trousers, etc. ✂ Uniform for industrial zones: Worker, hospital, hotel, etc. Specialize in supplying various uniforms: Office uniform, school uniform, T - shirt uniform, hospital uniform, restaurant uniform, factory worker uniform, student uniform and so on. MATTANA UNIFORM - A member of Nha Be Garment Corp. in Vietnam. Over 35 years of experience in Garment, Mattana has become one of the best manufacturers and suppliers of Uniform, featuringly Office uniform, Hotel and Restaurant uniform. MATTANA - "Confidently express yourself"
Viet Le Fashion brings you the best solution to promote your brand by UNIFORM. Our products are varying from Office uniform, Worker uniform, Hospital uniform, School uniform and so on, made out of high-end fabric and modern design. Having a garment factory and a digital embroidery workshop, Dony Jsc. specializes in designing and producing various Uniforms as customers order. Our main products are Company uniforms, Restaurant uniforms, Team uniforms, etc. Besides, we offer different types of hats, bags, backpacks and many more. We specialize in manufacturing all types of uniforms for: School, office, hopital, hotel, restaurant, ect. 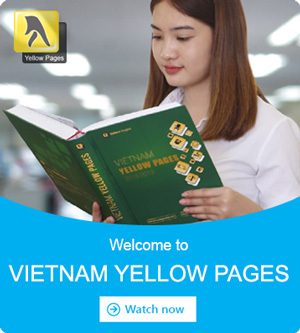 Over 6 years of experience, Phu Quy is one of the best uniform manufacturers in Vietnam. The companys line of business includes the producing of hospital uniform, school uniform, protective clothing, hotel uniform, T-shirt uniform, office uniform, ect. In particular, we also print & embroider logo on all products. Nhat Tinh Co. specializes in designing and making Gorgeous high-quality uniforms in Vietnam. We are able to meet the large amount of items from many markets. We specializing in manufacturing all types of uniform for companies, schools, restaurants, hotels, hospitals, ect. - Production capacity: 20.000 products per month. Nam Phuoc - One of the most prestigious Vietnamese manufacturers of high-quality uniforms. We are capable of providing any uniform, especially School uniform, Company uniform, T-shirts, Hotel uniform and so many more. Pick up your phone and call us to the best uniform for your company! One of the pioneer manufacturers in Garment - Uniform design in Vietnam. We produce mainly Office uniform, Restaurant uniform, School uniform, Worker uniform, etc, which are loved by Vietnamese and outbound companies. A leading Vietnamese company works in making and supplying Uniform in Vietnam and in foreign markets. We can meet all orders and requirements over the world by our products. Contact us to get your first discount for your order. To cover a new outfit for company image, Fashion Link has been designing and producing varied uniform, made out of high-end fabric. 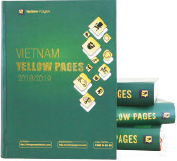 All our products are highly appreciated by more than 300 customers along Vietnam. Order right now to get the best offer from Bao Thinh Phat! - Being suitable for each job environment. - Main products: Shirt, T-shirt, vest,..
- Used for: Offices, hotels, restaurants, students, schools, workers,..
- Export markets: Cambodia, Japan, Korea, Thailand,..
Phu Gia Khang Co. offers design and measure service and supplies a variety of Uniform such as Office uniform, School uniform, Restaurant uniform, Hotel uniform, Security uniform, etc, of vivid color, high-end material and quality. Still looking for a company that can provide Uniforms with High quality, Reasonable price and Durability? Contact us right away to be made satisfied with a variety of models, color and design.